Oh good Lordy this looks amazing! Def something to look forward to after/during a health kick!! WOW great pictures! The cake looks sooooooooooooooooooooo yummy! I love the pictures of all the ingredients as well! wow this looks superb! 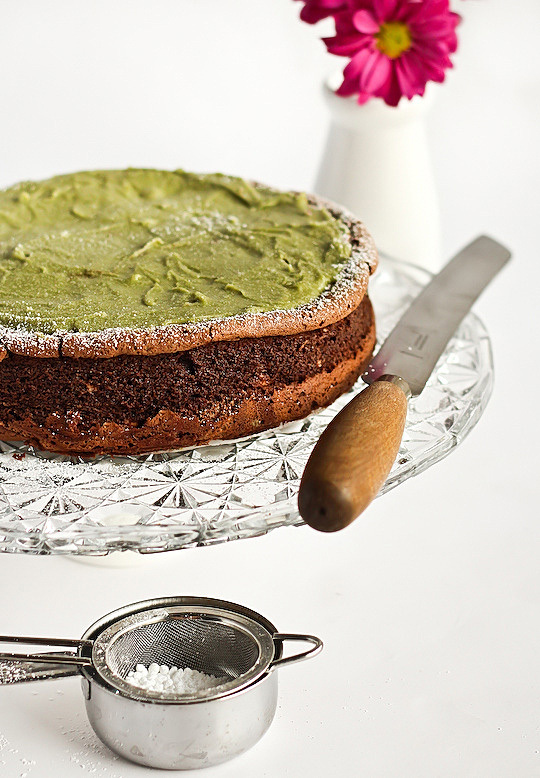 love flourless chocolate cake so will definitely check this out! love the photos too! That cake looks stunning. I think I have to go get some matcha powder and go make it. Gluten free and nut free! Fantastic. How you stay on a health kick while baking flourless chocolate cakes is beyond me, but great work!! I've never seen a recipe for a flourless chocolate cake that doesn't use almond meal so I'm curious to try this out! The cake looks fantastic and anything that's a cross between a mousse and a brownie has to be amazing! 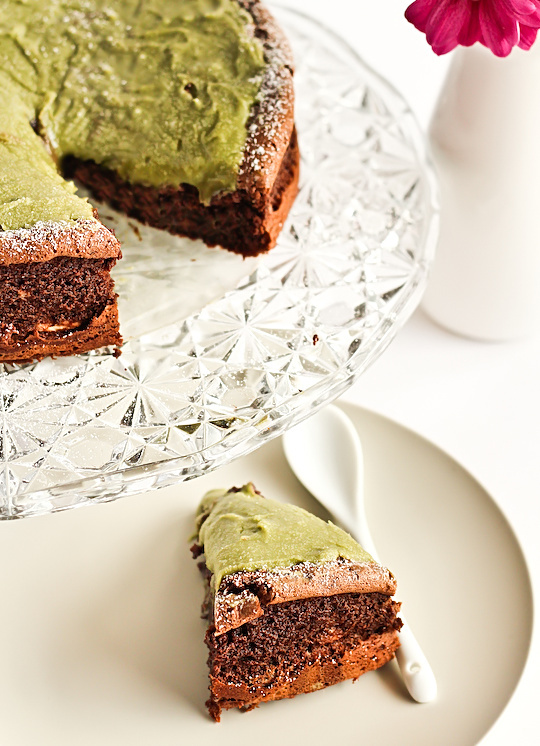 Gluten free chocolate cake, green tea icing!!! This looks like HEAVEN! You better believe I'm bookmarking this recipe and making it when I get a chance this week! I might even eat the entire thing by myself, yum!! What a terrific recipe ! 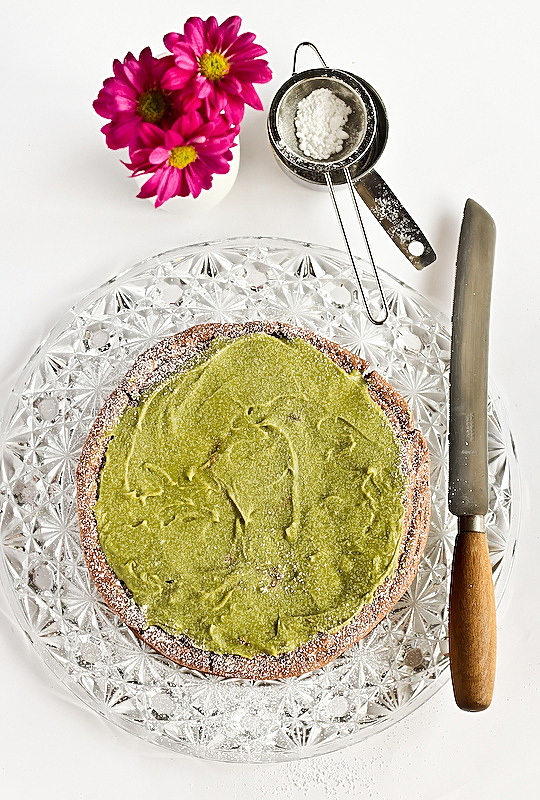 I've made Green Tea Chiffon Cake for a friend and keep searching for green tea recipe ideas. Will definitely make this. Printing it and bookmarking it! Thanks for sharing! Gorgeous looking cake. your photo's are so beautiful. Hooray, this is possibly the first time I've seen a gluten-free cake recipe which doesn't involve some sort of nutmeal! wow, this looks really really delicious, can't believe its just chocolate, butter and sugar! 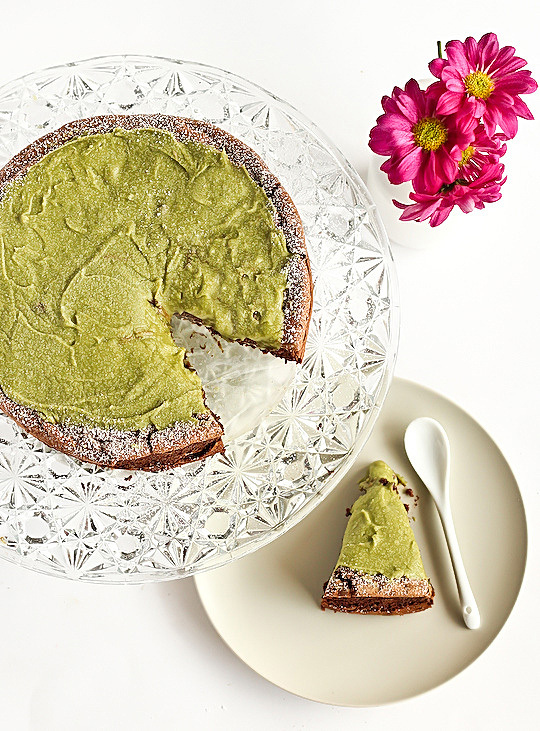 Green tea and chocolate goes together so well. And nice work for finding a gluten and nut free choc cake! Could you imagine a world without cake? That'll be so horrible! I know someone I can bake this for. My oh my! Chocolate cake without the flour. This will surely melt on my mouth. This is irresistible, I have to have one quick. Thanks for the recipe. Lisa - Haha except for the sneaky pieces of chocolate cake! The icing is my fav! chocolatesuze - Mmmm butterrrr. I totally chortled and plonked that icing. jas - the gluten free scallywag - Haha it was so hard to stop myself from gorging myself on it! Kimberley - Thanks! It was seriously one of the best cakes I've made recently. Reemski - Make it Reem!! It's so damn good. Valerie - Thanks! Hope you like it! shaz@feedingmykidsbetter - The icing was awesome! Wish there was more of it! Mrs. Biscuit - Haha I wouldn't blame you for eating the entire thing, I wish I could have! Elizabeth of AsianinAmericamag - Mmm I love chiffon cake! Hope you like it! mademoiselle délicieuse - I know, I love that it doesn't have nutmeal!! the dainty baker - Hehe thank you! Phuoc'n Delicious - I agree! Thank you :) A world with no cake would be my worst nightmare! Being a chocolate junkie and a green tea fanatic, I think I have found next year's birthday cake. Although I am afraid I would just sit and eat the icing all day >_< so yummy! 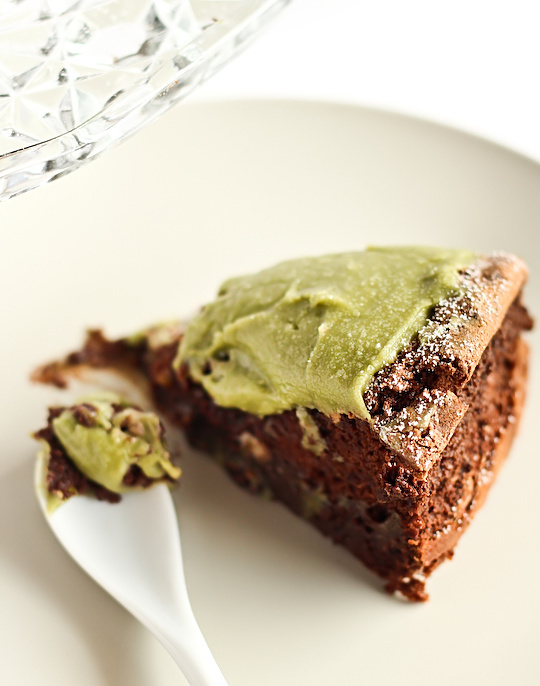 I have tried this recipe and I love the dense and fudgy texture of the cake. 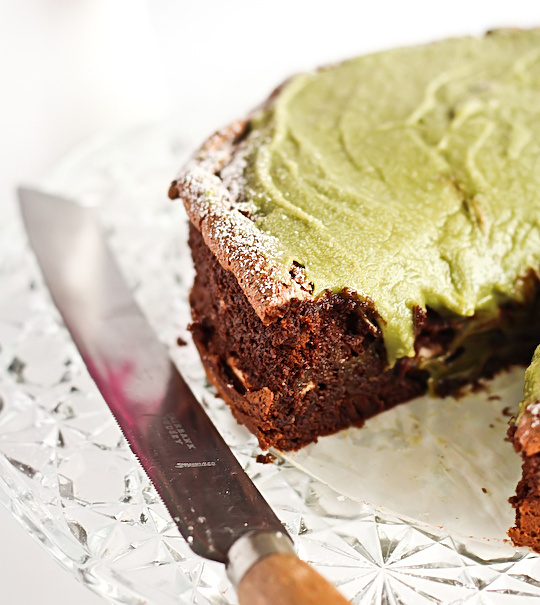 The green tea icing adds an interesting dimension to the flavours. I had mine chilled and wolfed down a slice easily and happily. Do you serve this at room temperature? Yum, I love earl grey! I will have to try that sometime. 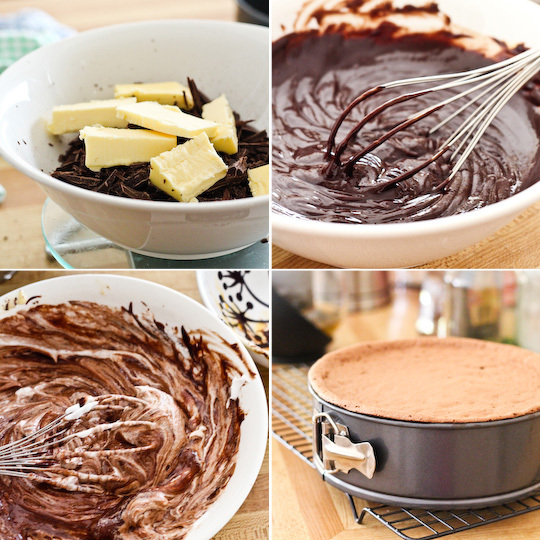 when you say "Whisk 1/4 of the egg whites into the chocolate mixture; then gently fold in remaining egg whites. " do you mean that you add 1/4 and once beaten in you add the rest of the whites? THank you!